On Thursday last week, I partook in the watching of some very fine theatre produced by the Community Theatre Arts Centre (CTAC) and directed by Amber Krause. As previously mentioned in my auditions post, I was quite surprised that this show was being taken on locally. Evil Dead, to most, is a cheesy horror flick that has just the right amount of humour and tongue-in-cheek attitude to set it up for a cult status among B-movie and horror buffs. The musical follows this same directive, but plays it up a bit more, especially with the references to the Evil Dead movies, Bruce Campbell (main actor in the movies), and Sam Raimi (director of the movies). You don’t necessarily have to be the hugest fan of Evil Dead/Evil Dead 2/Army of Darkness to enjoy this musical, in fact, you might not even need to see the original movies to enjoy it – but it sure makes it funnier if you have. I don’t really like musicals. But, when it’s Evil Dead, I love them. What I am trying to say is I loved the Evil Dead: The Musical. This show is hilarious, and also quite lewd – which may make it funnier. There’s plenty of cursing, sexual references, and blood/gore. This truly is a musical for people that don’t like musicals. Speaking of blood, the first 2 rows of seating are named aptly named, “Splatter Zone” because all the people that buy those tickets get splashed and sprayed with blood (it’s real blood too, but not really). The musical deviates quite a lot from the original story telling, and weirdly enough, feature more similarities to Army of Darkness (the last of the movies), especially with all the one-liners – but that’s not a bad thing either. The musical played on Thursday, Friday and Saturday last week, now the same schedule is on for this week. I heard there’s not many tickets left, for some of the dates this week, so make sure you grab them quickly. You can grab tickets online at www.ctacmedhat.com or by calling, Della Jesse at 403-502-3477. The ticket prices range from $29-$35 depending on the circumstances. It looks like this is happening, for real! When it was first put forth, I got an invite to the Evil Dead: The Musical group for Medicine Hat many months ago and never thought about it until I got another message in my inbox yesterday. It looks like this really happening now. Last night they held auditions which anybody could try out for and the same is happening tonight at 7:00PM. There are 4 lead female parts and 4 lead male parts up for aspiring actors/actresses/singers locally or fans of the cult classic… that can act (and sing). If you don’t know what Evil Dead is, you are kind of a lost cause; although, it’s possible you can see one of the most celebrated cult horror movies of all time. 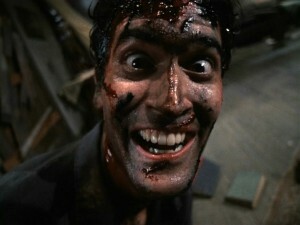 I would suggest taking a look at Evil Dead 2 (more or less a re-make of the equally good, but more old-school, Evil Dead) and Army of Darkness, and maybe do a little bit of reading on Bruce Campbell and Sam Raimi. If you are interesting in auditioning tonight, stop by the Community Theater Arts Center (1221 10th Ave. S.W.) at 7:00PM. To read more about all the other restrictions and other information, please visit the event on Facebook or contact Amber Krause either via Facebook, or by emailing amberkrause1@gmail.com.